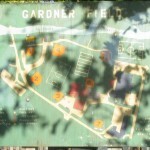 Update: 3/20/2011- Word is Gardner Field is closed due to insurance purposes, if anyone knows more about this or when they will open, please comment below! Update 8/12/2009: Classified it as no-wood chip but there is some woodchips, but a good area without them. Thanks to Sondra H.!!! 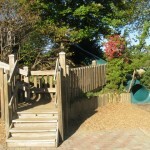 Fantastic playground, fenced in, with obstacle course leading to a choice of 2 big slides (steeper) for the bigger kids. 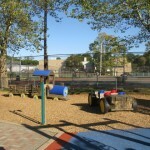 Parking lot next to playground. Central gazebo positioned so you can watch all the action. The only drawback with my kids is that the big slide structure blocks visibility to the swing area when the little one is on the little stationary train. But it is comforting to know it is fenced in, that I didn’t worry. 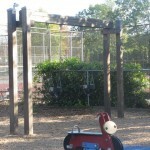 Great tire swing, and other swings (other swings not pictured here). 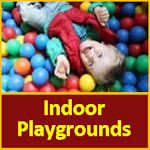 Restroom is outside playground area but close by. Climbing after the little ones in the 2-5 structure is a little challenging since it isn’t straight stairs, and there is a tiny little clubhouse in it that is perfect for kids not adults. 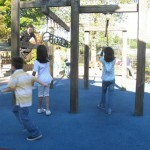 I highly recommend Gardner, even though it is pretty packed, the kids have a great time here! 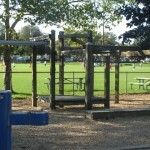 Gardner Field is West of downtown Denville. Take Main Street or Route 46 through town if coming from points East and look for Savage and Franklin Rd turn right after you pass Saint Mary’s church on the right. Bear right as if you were going to turn and go through the intersection and then turn right into the parking lot and the playground is straight ahead. 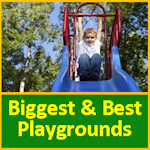 One of the best playgrounds in Morris County. 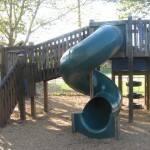 Very easy to use with two big play areas, lots of swings and two very tall and twisty tube slides. 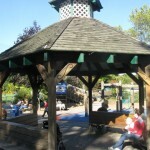 Gazebo in the center provides shade and a central place to gather, rest and watch more than one child at a time. 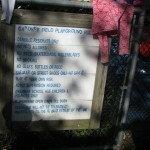 Playground is fenced-in with only one exit. Part of a bigger complex with lots of fields. Charlie Brown’s across the street offers family fare and down the road you can find a Stewarts and a Hunan Taste which has great fish tanks. Head into downtown Denville and get creative at Brushes & Bisque or shop at the Birth Boutique. 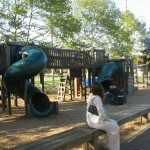 The hill with the two longs slides through the trees was the hit of this playground. 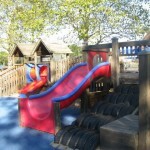 My kids had a great time here. 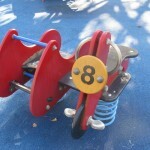 They also liked the big multi-person seesaw and lots of other slides. We also took the very cool pedestrian bridge across the street to Burger King and back. 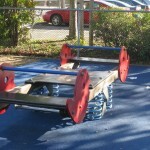 There are signs up at the park saying because of safety and insurance reasons no one is allowed in the play area and it is gated off and locked. Annoying to go there and find this out because it does look amazing. Not sure what happened but should probably let people know so they don’t make the trip out there for no reason. 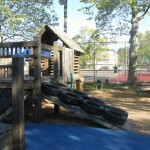 There IS a smaller park up on the hill next to this park so you won’t be left to dry but it is not as nice and fun as this one is.